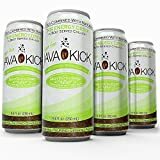 Java Kick Energy Drink is a unique energy supplement that combines coffee with cola and additional energy ingredients. It is available in both an original and a sugar-free version. In addition to the caffeine, this drink also contains taurine, ginseng, CoQ10, and an assortment of B vitamins. Unlike other coffee/energy drink hybrids such as Starbucks Doubleshot Energy + Coffee, Java Kick contains no dairy and is lightly carbonated. Java Kick Energy Drink is for adults only who understand their sensitivity level to caffeine. 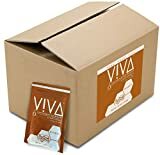 Water, Sugar, Natural Flavor, Coffee Essence, Taurine, Phosphoric Acid, Coffee Powder, Natural Caffeine, Potassium Sorbate (preservative), Sodium Benzoate (preservative), Niacinamide (Vitamin B-3), Ginseng Root Extract, Sodium Citrate, Co-Enzyme Q10, Pyridoxine Hydrochloride (Vitamin B-6), Calcium D Pantothenate (Vitamin B-5), Riboflavin (Vitamin B-2), Cyanocobalamin (Vitamin B-12). Sugar content: 29 grams (per 8.46 ounces). How Does Java Kick Energy Drink Compare? Java Kick Energy Drink contains 9.93 mgs of caffeine per fluid ounce (33.57mg/100 ml).